To millions of people, Ladybird Books were as much a part of childhood as battery powered torches and warm school milk. These now iconic pocket sized books once informed us on such diverse subjects as how magnets work, what to look for in winter and how to make decorations out of old egg shells. But they also helped to teach many of us to read via a unique literacy scheme known as ‘Key Words’. Ladybird books were also a visual treat – some of the best known contemporary illustrators were recruited to provide images which today provide a perfect snapshot of the lost world of Ladybirdland: a place that is forever the gloriously ordinary, orderly1950s. 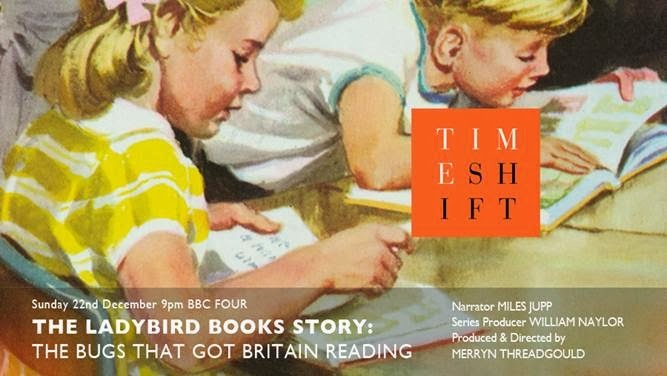 THE LADYBIRD BOOKS STORY: THE BUGS THAT GOT BRITAIN READING takes a look at the vintage years – from 1953 to 1973 – when millions of Ladybird books were sold and almost every household had some.